Sometimes you just have to force yourself to take a day off. This is hard for a workaholic like me. 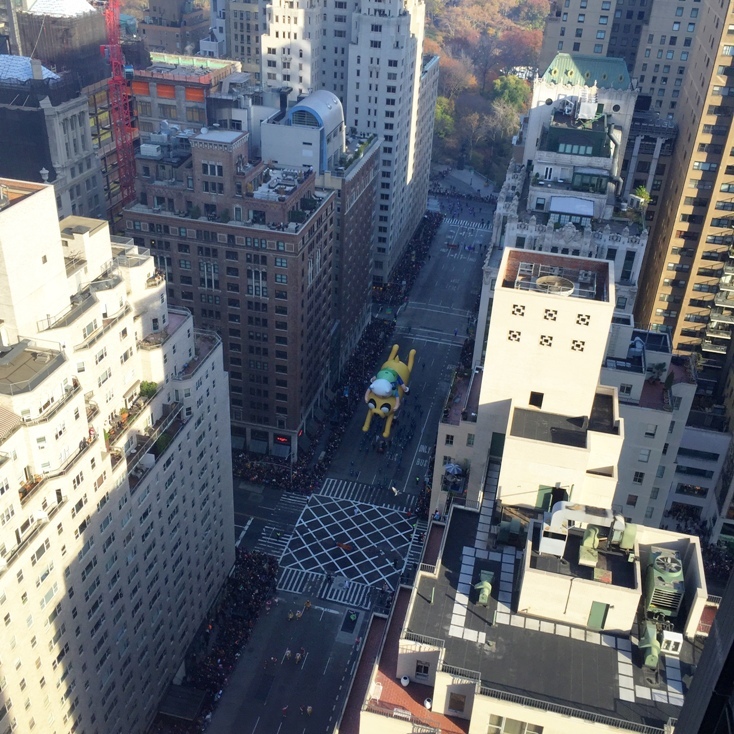 The bucket list was checked off today when I got a chance to see the Macy’s Thanksgiving Day Parade live from 27 stories up. This is really the only way to see the parade in my opinion. I’m not a roughing it kind of guy so the idea of spending the night the day before Thanksgiving out on the streets to secure a spot to watch the parade, finding food and bathrooms in the morning and being stuck in cold weather until it ends does not appeal to me at all. Waking up at 9AM and going into a nice warm building where we can watching it live and on the TVs with plenty of hot Nespresso options, food and good company is where it’s at! A huge shout-out to my wife who made it all come together. What a fantastic day to sit back and be thankful for where life has taken you. I have a ton of gratitude for all of my amazing clients who have entrusted me with providing entertainment for their events. You’re the best! Have a fantastic Turkey Day everyone. Anyone else excited the holiday season is here?